We have a 3D CT Scanner that helps us evaluate intricate anatomical structures before complicated extractions and sinus lifts. This can also be a great alternative to x-rays for patients that have small mouths and/or prominent gag reflexes. Greenline Dental Centre is on the forefront of modern dentistry and dental technology and has adopted Digital X-Rays into our practice. Digital X-Rays are much safer than traditional X-Rays, because they use up to 90% less radiation. This is especially important for patients who need multiple x-rays. Furthermore, because the image is sent to a computer and not to a film, the results are instant. Last but not least, no film equals no waste for the environment, which is why Digital X-Rays are a green solution, too! To learn more about our Digital X-Rays or book an appointment and take advantage of our dental technology, contact us today. 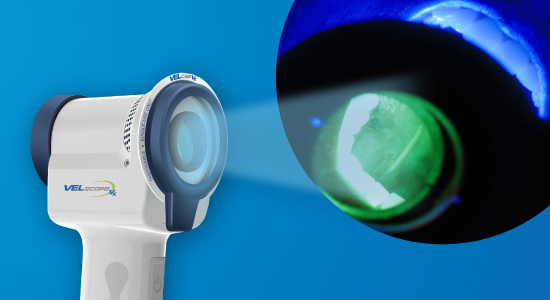 Greenline Dental Centre is one of few dental practices equipped with the KaVo Key 3 Laser. The KaVo Key 3 Laser enables our doctors to maximally reduce the risk of infection, by killing the bacteria that cause cavities and sterilizing the exposed surface of the tooth prior to a filling or other restoration. It can also be used to detect cavities, treat periodontal disease and desensitize teeth that are sensitive to cold. Safe and pain-free, laser dentistry not only minimizes the use of the dental drill but also limits the need for freezing in many cases. Contact Greenline Dental Centre today to find out more about how our laser dental technology can revolutionize your dental care! At Greenline Dental Centre we take patient communication and education seriously. We’re proud to offer state of the art CareVisionHD in-office video service at all our locations to keep you abreast of all of the benefits that our modern dentistry has to offer.